Nacogdoches- A visit to Nacogdoches any time of year is great, but a visit during the Nine Flags Festival is especially heart-warming and fun! 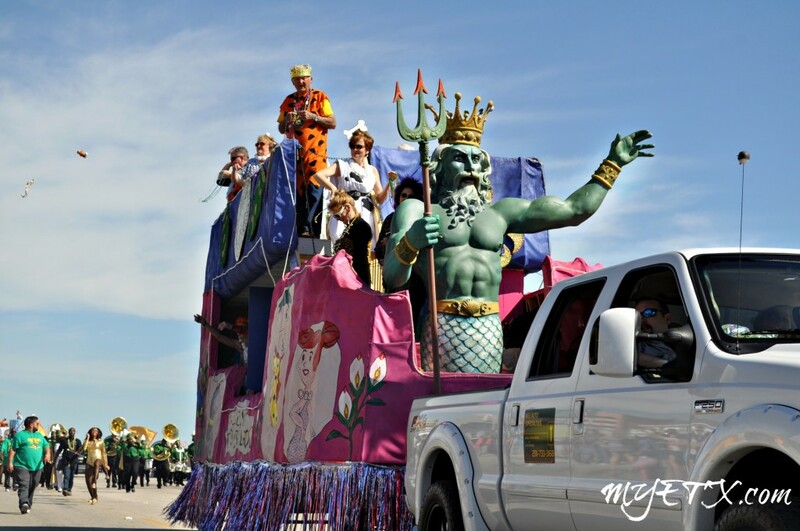 The Nine Flags Festival is a four-week celebration of the rich and spirited history of the oldest town in Texas, from November 17 through December 10. Since its inception 15 years ago, the Nine Flags Festival has become one of the premier holiday celebrations in the state and has been recognized by the Texas Legislature for its community education and historic restoration efforts. The Nine Flags Festival pays homage to the nine flags that have flown over Nacogdoches, as opposed to the six that have represented Texas. The nine flags that have flown over Nacogdoches include French, Spanish, Magee-Gutierrez, Dr. James Long, Mexican, Fredonia Rebellion, Lone Star, Confederate Stars & Bars and United States of America. The festival offers a host of events during its four week run, from historic tours to special lighting ceremonies and a Christmas parade. Choosing the right days to visit will determine how much of the festival you can enjoy! Celebrate the season of giving by donating a new toy to the Nine Flags Christmas Festival to ensure every child in Nacogdoches County has a magical Christmas! Shop for unique holiday gifts at this much-anticipated annual shopping extravaganza! Holiday in the Pines is a collection of more than 60 specialty stores and shops from coast-to-coast gathered for holiday shopping in a festive atmosphere. Located in the University Mall in Nacogdoches, Texas, the event space is transformed into a holiday wonderland. While you sample tasty food items, mingle with your friends, and shop for Christmas, YOU will be contributing to NJF’s mission to help make Nacogdoches a better community for everyone. The net profits of Holiday in the Pines go directly back into the Nacogdoches community through grants to non-profit organizations throughout the county. VIP shopping from 6 to 9 p.m. Thursday and 9-11 a.m. Friday. Regular shopping 11 a.m. to 8 p.m. Friday and 9 a.m. to 5 p.m. Saturday. For more information, contact Nacogdoches Junior Forum at holidayinthepines@gmail.com or visit them online. Come out and enjoy some holiday fun at Adult’s Night Out! Gates open at 6 p.m. and “National Lampoon’s Christmas Vacation” starts at 7 p.m. Beer and wine will be provided by Jack Shack, Inc. and pizza will be provided by Papa John’s, all for additional purchase. Tickets are available at the Nacogdoches Convention and Visitors Bureau for $5 as well as at the gate. Nine Flags Christmas Festival kicks off in downtown Festival Plaza with fun activities for the whole family! It’s going to SNOW in Nacogdoches with our first-ever Snow Hill, where you can grab a tube and sled down the extreme hill covered in real snow! New to this year’s festival are Movies in the Park featuring “How the Grinch Stole Christmas” Friday night and “The Polar Express” Saturday night as well as Santa’s workshop where your little elves can tinker away making free take-home Christmas crafts. Be sure to revel in the season Friday night by watching the switch flip to light up beautiful Nacogdoches! Other activities include pony rides, a petting zoo, and much, much more! 4 p.m.- Snow Hill, Vendors, Pony Rides, Petting Zoo, and Santa’s Workshop Open! Registration for Whoville Costume Contest opens! Click here for a Whoville Costume Contest Form! 7-9 p.m.- How the Grinch Stole Christmas Movie Spectacular! 1 p.m.- Snow Hill, Vendors, Pony Rides, Petting Zoo, and Santa’s Workshop Open! Click here for the All-American Pie Bake-Off Form! 7-9 p.m.- Polar Express Movie Spectacular! Ride through the brick streets of downtown and see the sites of the Oldest Town in Texas and the beautiful countryside surrounding it. The annual bike ride will include a 7.8-mile, 26-mile, 40-mile, and 56-mile route beginning and ending in historic downtown Nacogdoches. The ride starts at 8 a.m. Entry fee is $25 for early registration and $30 for regular registration (after 11/11). Entry forms are available at the Visitor Center, 200 E. Main Street, click here to download a registration form and route maps, or click here to register online TODAY! Celebrating the American flag this year, the Nacogdoches Convention and Visitors Bureau, 200 East Main, will be host to the Johnson Space Center’s traveling exhibit November 21-December 9. Visitors can examine an in-flight spacesuit, shuttle models, info pop-ups, space helmet, and space gloves. Take pictures with the NASA photo opt cut-out, and be sure to watch the PBS Columbia video that will be complementing the exhibit. Stroll the brick streets and visit the historic district as participating downtown merchants compete to see who can brew up the best wassail in town. Don’t miss out on your chance to vote for a winner! 10 a.m. to 4 p.m. Doors open at 5 p.m. and show starts at 6 p.m. at the Nacogdoches County Annex. Pre-sale tickets are $12 ($15 at the door) and available at the Nacogdoches Convention and Visitors Bureau, 200 East Main. Featuring Camilla Saulsbury and recipes from hew newest cookbook “Piece of Cake.” Click here to check out Camilla’s site! All pre-sale ticket purchasers will be entered into a raffle for a signed “The Pioneer Woman Cooks: Recipes from an Accidental Country Girl” cookbook and more! Revisit Christmas at the annual, “An Old Fashioned Christmas,” at Millard’s Crossing Historic Village. This charming Christmas candlelit event offers a nostalgic setting for a variety of Christmas activities in a historic village. Catch a performance of Charles Dickens’ ” A Christmas Carol” or try your hand at the player piano. Enjoy demonstrations of how things were done in the “old days” from lace makers to old fashioned games, and don’t forget your favorite yuletide treats! The event will be held from 5 to 9 p.m. at Millard’s Crossing Historic Village, 6020 North Street. $8 adults, $5 children. Saturday showings: 3 p.m. and 9 p.m.
A “Not to Miss” production by SFA School of Theatre’s musical comedy cabaret troupe! Tickets will be available at the Visitor Center, 200 East Main Street. Enjoy a fun-filled breakfast with Santa at J.McKinney’s (inside the Hotel Fredonia, 200 N. Fredonia St., downtown Nacogdoches). Children can enjoy the breakfast buffet (as well as edible decorations to decorate their pancakes), coloring sheets, and pictures with Santa himself! Cafe opens at 8 to 10 a.m. Don’t forget your camera! Pancake breakfast price: Ages 4-6 $6.95, Ages 7-11 $10.95, Ages 12 & up $12.95, and kids 3 and under eat free! Reservations encouraged. Call (936) 564-1234 for more info and to make reservations. The 5K run is set for 8:30 a.m. in downtown Nacogdoches with the 3K walk beginning shortly thereafter. Please note: Chip timing has been added to the run. The awards presentation will be held at 10 a.m. Registration forms will be available soon at the Visitor Center, 200 East Main Street, and online. The race winds its way through the historic streets of the oldest town in Texas and will kick off a full day of festival activities downtown. Entry fees are $20 for early registration (by 11/23), $25 for regular registration, and $10 for children. Click here to download an entry form or click here to register online TODAY! The members of the First United Methodist Church invite you inside. Come enjoy music, refreshments, and a tour of the decorated church with the Youth “Live Nativity” on the front lawn. Free admission. 201 East Hospital Street. The largest lighted Christmas parade in East Texas will be winding its way through the historic streets of downtown Nacogdoches, which itself will be glowing with more than 3 million festive Christmas lights. Following the parade is the annual fireworks show that has become an anticipated highlight of the Nine Flags Christmas Festival. The explosive display lights up the sky above the oldest town in Texas. Parade starts at 6:30 p.m. Food vendors will be set up in the square from 4 to 9 p.m. Free admission. Click here for a Parade Entry Form! Joy to the World, they’re back!! The Futrelle sisters celebrate Christmas and wait for their own ‘baby,’ another set of twins for Frankie. Honey Raye has edged out Miss Geneva as director of the Christmas pageant, and now has her own set of problelms. Most of hte original players recreate their roles. Other characters include Justin Waverly, the young pastor and FedEx driver; Deputy John Curtis; Patsy Price, the cold-hearted society matron; and Dub Dubberly, Frankie’s husband. Friday and Saturday showing: 7:30 p.m.
Tour elegantly decorated residences during the 2011 Christmas Tour of Homes, benefitting the Friends of Historic Nacogdoches, Inc. Tickets are $10 and will be available soon at the Visitor Center, 200 East Main Street. The tour is from 1 to 5 p.m. Enter the fourth annual Gingerbread Homes for the Holidays Contest! Click here for an Gingerbread Homes for the Holiday Entry Form! Formed by the junction of Barnhardt, Scober, and Shawnee Creeks in Rusk County, the Angelina River flows about 119 miles through Cherokee, Nacogdoches, Angelina, San Augustine, and Jasper Counties, joining the Neches River 12 miles west of Jasper. 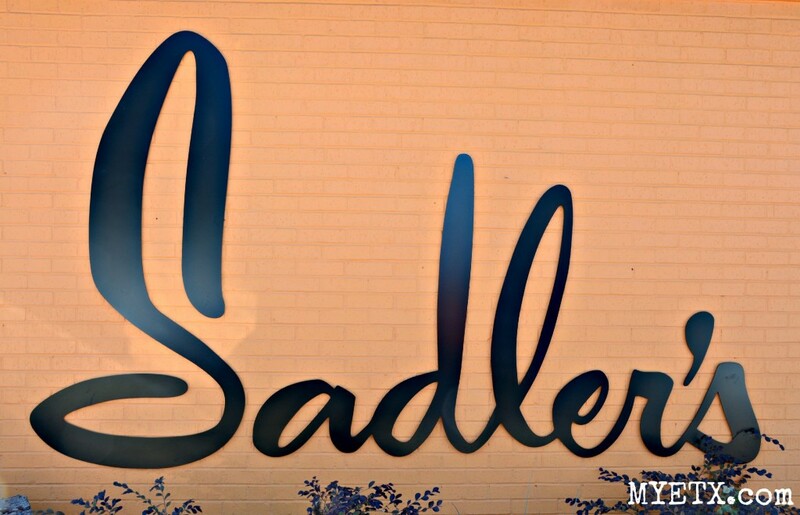 JACKSONVILLE, TX- Since 1943 the Sadler name as been synonymous with great food in Jacksonville. Times have changed, as well as the location, but the great food has stayed the same at Sadler’s Kitchen! Today Sadler’s is located in the old Jacksonville City Jail, (also the old police station and tax office) which was constructed in the 1930s. Owner Rob Gowin saw an opportunity to not only continue his family’s legacy in a historic location, but also assist in efforts to revitalize the City of Jacksonville.